Cocaine is still widely abused in the US today. Due to it’s addictive nature, the need for cocaine treatment in Florida is still great. If you or a loved one is struggling with cocaine abuse or addiction and looking for a good program in Florida, there are a few things to keep in mind while choosing a program. Prolonged cocaine abuse can cause many side effects including itching, hallucinations, tachycardia, paranoia, depression and psychosis. Once addicted, quitting can be difficult due to the strong withdrawal symptoms addicts can experience. Withdrawal symptoms from cocaine can include mood swings, changes in appetite, fatigue and agitation. In order to successfully get past these withdrawal symptoms and move forward in recovery, more and more addicts are choosing cocaine treatment in Florida. Finding the right cocaine treatment in Florida for you or a loved one can take some research. Depending on the level of addiction, cocaine treatment in Florida will most likely begin with detox. Detox prepares clients for treatment by helping them through withdrawal until they are no longer dependent on cocaine and will be able to put all of their energy into treatment. Going to detox before treatment in Florida leaves addicts mentally and physically stronger and more prepared to take on the next steps in recovery. Cocaine treatment in Florida can vary greatly from program to program. Depending on your needs there are different levels of care and different specialized treatment programs in Florida to choose from. Levels of care found in cocaine treatment in Florida include inpatient care, partial hospitalization, outpatient care, sober living and more. The level of care you or your loved one may need will depend on the level of addiction, however long-term treatment in Florida spanning multiple levels of care has been proven to be more effective. Specialized care programs found in treatment in Florida include things like gender specific care, professionals programs, family outreach programs, dual diagnosis and more. 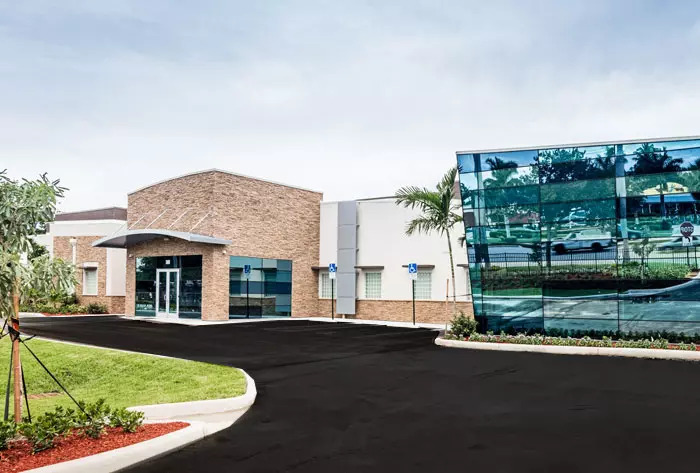 Dual diagnosis has proven to be vital for any addict struggling with both addiction as well as a mental health disorder, treating both issues while the client is in treatment in Florida and greatly reducing the client’s chance for relapse. No matter what your needs are, or the needs of a loved one, there is a cocaine treatment program in Florida that can help. FHE Health provides long-term, comprehensive care for cocaine addiction. Our program provides clients with access to specialized care including dual diagnosis, family outreach, a professional’s program, and gender specific treatment. We also provide clients with access to our new, state-of-the-art Wellness Center where they can experience holistic approaches to recovery including chiropractic care, acupuncture, massage, yoga, fitness and more. Clients reside on our safe, clean campus and take part in a full schedule of individual therapy, group therapy, recreational therapy, psychiatric services and much more. If you or a loved one is struggling with cocaine, please call us now at (844) 299-0618 for more information on Florida programs for cocaine addiction.